Coal is not a sunset industry in B.C. In some circles, coal is referred to as a “sunset industry,” but that’s certainly not the case in British Columbia, or the East Kootenay, which is home to some of the largest coal mines in the province. Teck Resources Ltd. is the big player in the Kootenays with its five open pit coal mines in the Elk Valley east of Cranbrook that have produced more than 500 million tonnes of mainly metallurgical coal since 1898 with millions more in identified reserves. Teck (and its predecessor company, Cominco) has long been the biggest employer in the Kootenays thanks to its vast reserves of coal and metals in the isolated treasure chest of southeastern B.C. But these valuable resources would be worth little if they couldn’t be moved 1,000 kilometres to Vancouver and exported around the world. That’s where another iconic Canadian company comes into play, namely, the Canadian Pacific Railway or CP as it’s usually known. This historic rail line played a key role in creating Canada by completing the first rail line to span the country in 1885. This history is well known to any Canadian, but what isn’t so nearly well known is just how huge the Canadian coal industry is, especially in Canada’s most western province. Canada’s first coal mine, a small pit in New Brunswick, opened in 1639. But there wasn’t a real coal industry in the country until Robert Dunsmuir built a series of underground coal mines on Vancouver Island in the 1850s and quickly became the richest businessman in B.C. By 1911, Western Canada dominated the industry and now produces over 95 per cent of all the coal mined in Canada. More than four per cent of the world’s coal reserves are found in Canada; only the U.S., Russia, China and Australia produce more coal than is mined in this country. Canada’s proven reserves of at least 80 billion tonnes of coal could provide employment for another century, say industry experts. That’s hardly a sunset industry! B.C. is fortunate to hold immense coal reserves measuring more than 23 billion tonnes of which 13 billion tonnes are steel-making, metallurgical coal and 10 billion tonnes thermal, which is mainly used to generate electricity. Based on extensive sampling of grade and tonnage, the coal coming out of the Elk Valley has “proven-in-place” reserves exceeding 1.3 billion tonnes of high-quality coal, according to the B.C. Geological Survey. Most of this coal is destined for the huge Asian steel mills in China, Japan and Korea and contributes greatly to the B.C. economy. In fact, in 2013, British Columbia produced an estimated 31 million tonnes of coal. 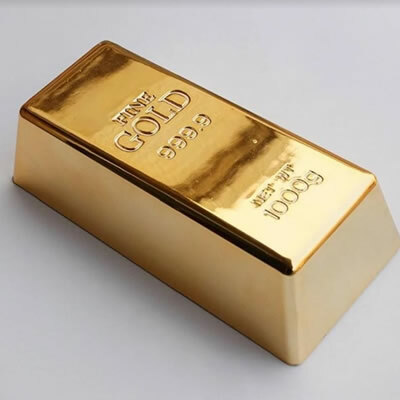 This production accounted for about $4.6 billion, or close to 58 per cent, of all the mining revenues generated in the province. A slower growth rate in China the past year has caused a slump in the normally buoyant industry, with three-week, rolling layoffs taking place at all Teck’s Elk Valley mines this summer. But this is expected to be a short-term measure until international commodity prices bounce back again. Despite the steel industry slump, Teck reported solid second-quarter earnings of $79 million this year, or 14 cents a share, up 10 per cent over the second quarter of 2014 and beating analysts’ predictions. The Vancouver-based company ranks as the second-largest exporter of metallurgical coal in the world with its five huge, open-pit coal mines at Fording River, Green Hills, Line Creek, Elkview and Coal Mountain. Southeastern British Columbia coal is characterized by low total sulphur content, and reserves are estimated at eight billion tonnes. 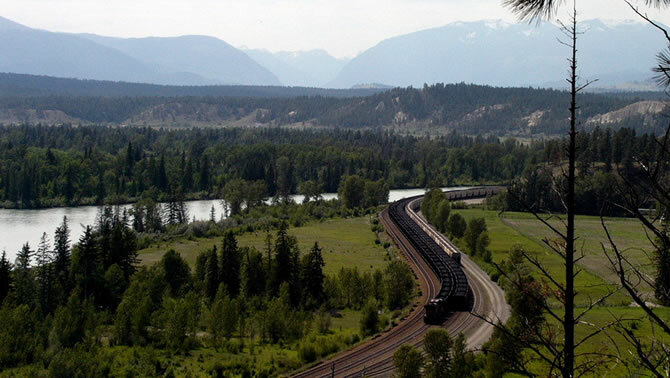 Leaving the mines of the Elk Valley, Teck coal travels on CP rail lines all the way to Vancouver, passing through Fernie, Cranbrook, Golden and Kamloops along the way. Most of the coal arrives at the giant Westshore Terminal at Roberts Bank, which is in the midst of a $275 million expansion project to install new equipment and increase its coal exporting capacity. The terminal, in operation since 1970, is the biggest single coal export terminal in North America and shipped more than 30 million tonnes of mainly metallurgical coal to the hungry steel furnaces of Asia in 2013. Stringent environmental measures are being taken to control adverse health factors such as dust, noise and exhaust emissions, both on the coal trains and at the terminal’s expansion project. An SNC-Lavalin study in 2013 concluded the expansion project “is not likely to cause negative adverse environmental, socio-economic or health effects” for people living near the upgraded coal terminal or the trains serving it. Every night west of the immense terminal, the sun sets in the Salish Sea, formerly known as Georgia Strait, but that’s about as close to “sunset” as the thriving coal industry gets in B.C. Coal was discovered in the Elk Valley in 1845 by Father Pierre-Jean DeSmet, a Belgian Jesuit missionary, who learned about the “black rock” from the Ktunaxa. Dr. George M. Dawson, a geologist with the Geological Survey of Canada, was the first to map the extensive Elk Valley coal fields in 1883 and 1884. Four to five coal trains per day leave the Elk Valley for the Coast, averaging 152 units per train with each car carrying 140 tonnes of mostly metallurgical coal. 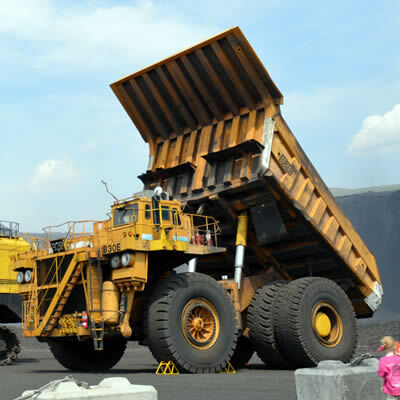 The coal industry creates $3.2 billion in economic activity annually in B.C., generating $715 million in tax revenues for the province and its municipalities. Forty per cent of the world’s population still relies on coal for electricity, including light, heat and other daily needs. 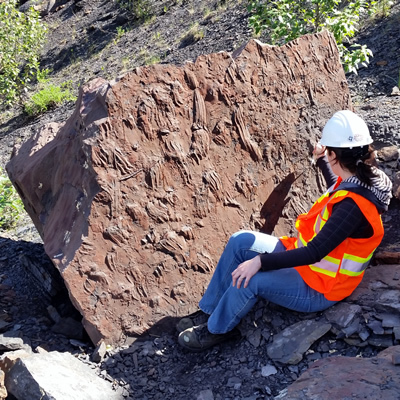 The government of British Columbia has implemented a new recovery protocol for the removal and preservation of found fossils.